De La Hoya Says “Everyone Will Forget All About Canelo's Two Failed Drugs Tests After He KO's GGG” - is he right? De La Hoya Says “Everyone Will Forget All About Canelo’s Two Failed Drugs Tests After He KO’s GGG” – is he right? Canelo Alvarez is a very angry man right now. 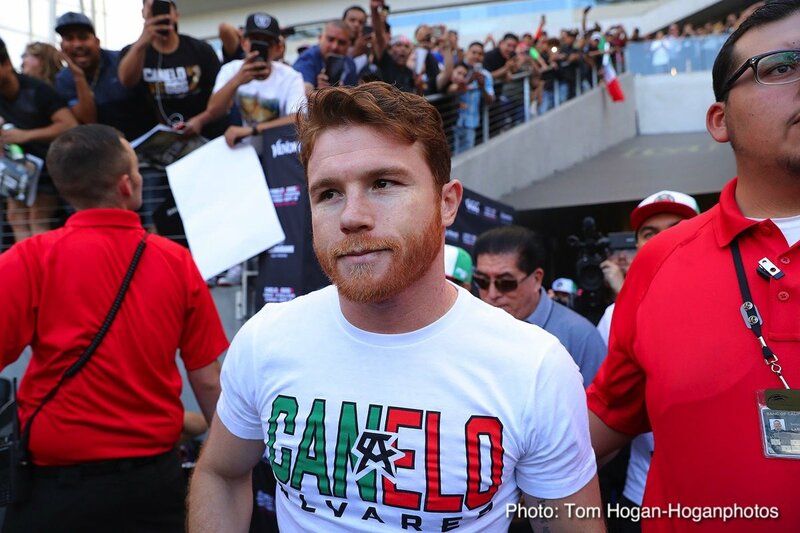 According to his promoter Oscar De La Hoya, Canelo has never been so angry. Upset like hell over the things Gennady Golovkin has said about him – mostly about those two failed drugs tests earlier in the year – the Mexican star is chomping at the bit, determined to KO Golovkin and make him pay for his words. In fact, De La Hoya has said, more than once, that after his man lays GGG out, everyone will “forget all about the two failed tests. (and of course, Canelo and Oscar still maintain there was no cheating cone, simply tainted meat being eaten by accident. )” So, is Oscar right – will fans forget all about the word clenbuterol and the fact that Canelo was twice found to have traces of it in his system if he scores a KO on September 15? We all know the upcoming rematch a must-win fight of the highest order; a crunch fight, a career defining fight for both men. It must not be forgotten how GGG is as hungry to score a KO of his own, but who will make his rival pay on fight night? Should Canelo actually lose, and drop, say, a close decision after a great fight where both men give their all, he is, at age 27, young enough to be able to come again. But if 36 year old Golovkin loses the return, by KO especially, can he possibly come again? Unless Canelo, if victorious, agrees to the rubber-match (and, as much as he and his promoter/good friend Oscar De La Hoya despise Golovkin right now – and vice-versa – don’t bet on it) GGG could indeed find himself being frozen out. As great as he is, why would any new champion want to face Golovkin if he didn’t have to? Age is against GGG, and if he does lose the rematch it could prove to be an almost impossibly long and hard road back to the top. Will this see to it that plenty of fans do indeed largely forget all about the failed tests and welcome Canelo back with open arms? Bottom line, neither man can afford to lose next month. In fact, a fight fan has to think hard to come up with a world middleweight title fight with oh, so much on the line. You are here: Home / Boxing News / De La Hoya Says “Everyone Will Forget All About Canelo’s Two Failed Drugs Tests After He KO’s GGG” – is he right?